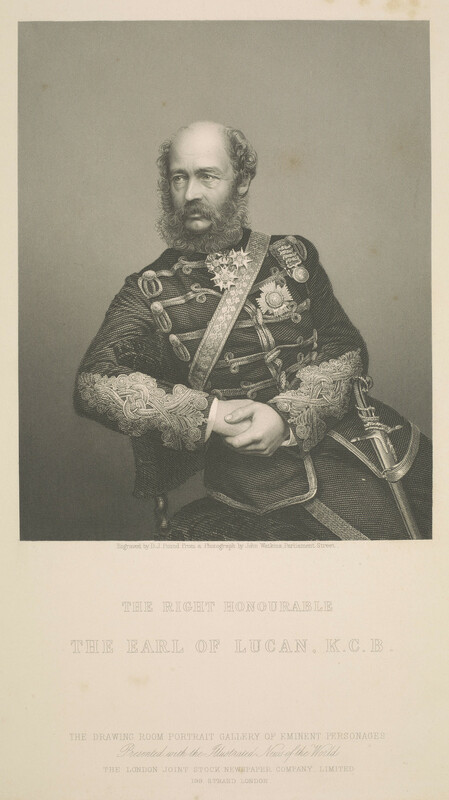 Intaglio print of George Charles Bingham, 3rd Earl of Lucan. Lord Lucan is seated facing partly left, wearing military uniform. The print is after a photograph by John Watkins. Search the collection London Joint Stock Newspaper Co.Ltd. : 199 Strand & 122 Regent St., London.